Overalls There are 5 products. 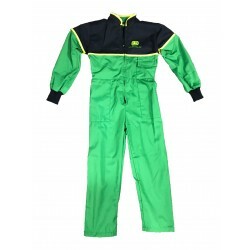 Dickies Overalls in Lincoln Green available in Sizes 38" to 50"
Dickies Overalls in Navy available in Sizes 36" to 56"
A hard wearing overall from John Deere perfect for any John Deere enthusiasts out there. Knee pad pockets, stud front, and 4 pockets, they'll help you through all those dirty tasks. Is your child a farming or John Deere fan? 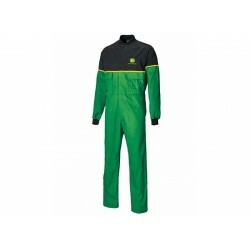 Get them kitted up in these fantastic John Deere Overalls and watch them join in the farming fun.